What better way to remember Dad than to have a special memory turned into a stunning piece of jewelry? Many years ago, while digging in their Central NY backyard, one of our customers found several of these arrowheads. His father said to keep the best ones, so he did, and there they sat, for years and years. 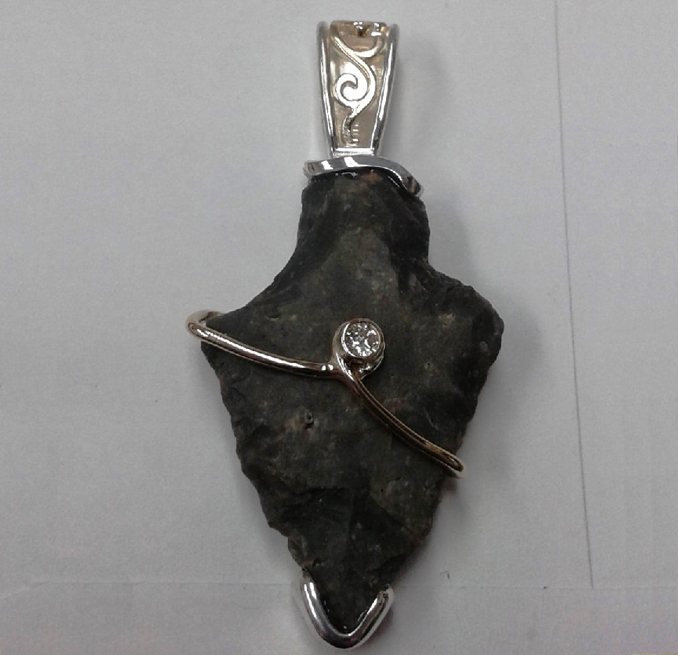 He brought us one of the arrowheads, and together, we designed this special piece for him. Do you have "buried treasures" sitting in your jewelry box? Then stop into our Syracuse area store today, and let us bring new life to your tired gems.